Today we have a very special guest designer "Niharika Gupta" with us. She is the owner of Niharika Expressions, a boutique for handmade cards and scrapbooks. She is well known for her amazingly beautiful scrapbooks. She is an inspiration for many around the world. Apart from being a great crafter and scrapbooker, she is a beautiful person inside out. 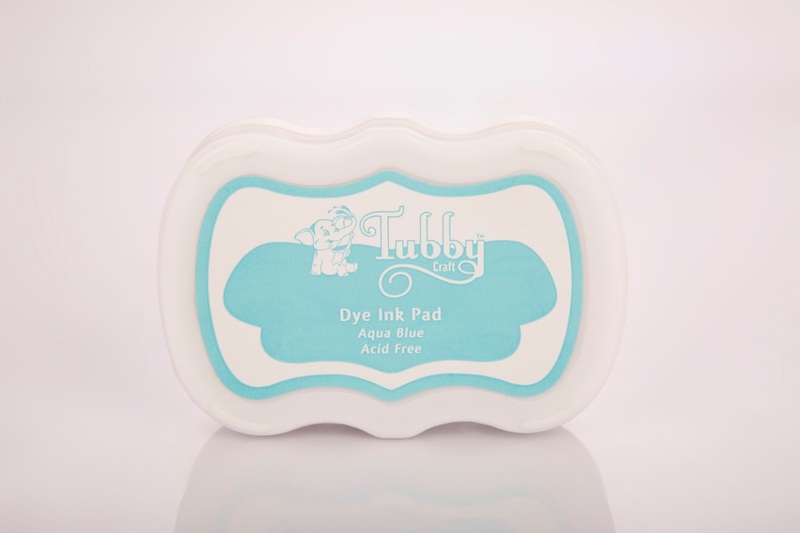 We are glad to have you with us and loved what you have created with Tubby Craft products. 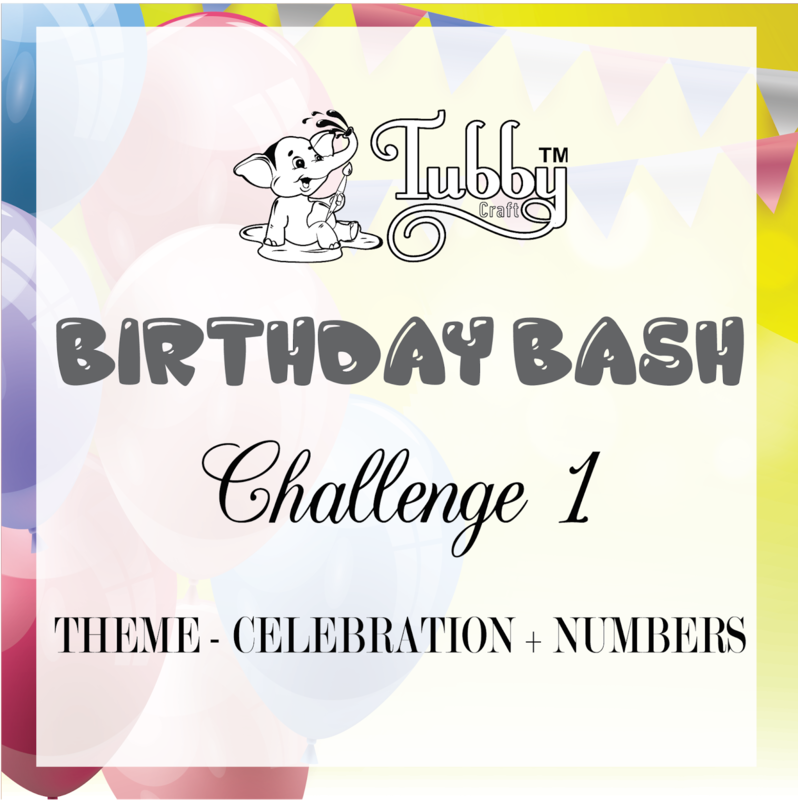 She has two fabulous projects to share with us to inspire you all for our ongoing Birthday Bash Challenge 1 - Celebration+Numbers. So, grab a cup of coffee and enjoy her creations! Someone has rightly said, “ Creativity is more than just being different. 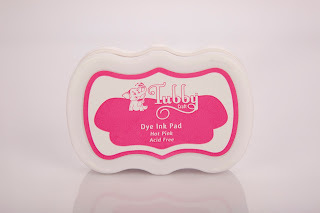 Heartfelt congratulations to Tubby Craft on turning ONE and It’s a pleasure to be here as a guest designer and be a part of the celebration. This post is also dedicated to my little princess as both my projects today are for her, it just became all the more exciting for me. I have two amazingly cute inspirations for you all today, featuring the number stamps and ink pads from Tubby Craft. I am more into scrapbooking and mixed media, so I decided to use the inks little differently. Now without further ado, let me take you to the projects one by one. 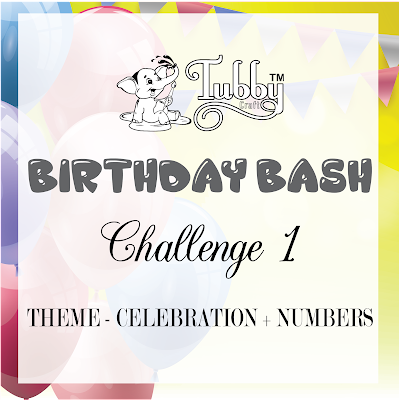 I have used elements from a very cute collection- Cute & Co. from Piatek Trzynastego and my daughter’s seventh birthday pictures for this layout. 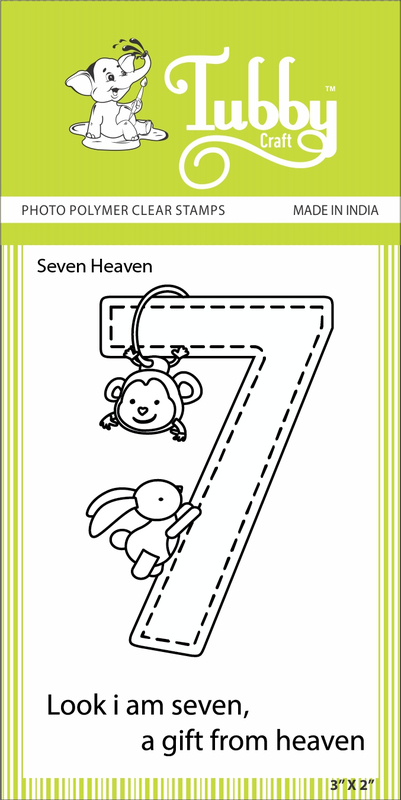 The “Seven Heaven” stamp just suited so well for this idea of making a layout for her room here. 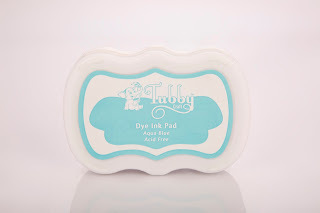 For the base I have used a white canvas and the background is created using the Tubby Craft Dye ink pads (Hot Pink, Chocolate Brown & Aqua Blue colors). These ink pads are extremely juicy, so I decided to dab some ink directly from the ink pad on an acetate sheet, spray some water on it, and then turned it on my canvas. I also used the Chocolate brown ink with some star and script stamps to add some interest here and there. Here are some more close ups of my project. On to the second one, Letters to you- Mini Journals. Ever since my daughter is born, I have been writing letters to her on each of her birthdays. 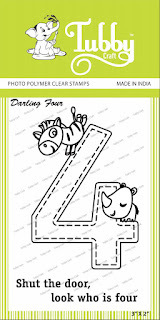 These number stamps have helped me turn them into mini journals. 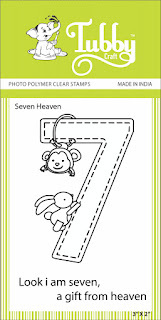 The letters are binded with elastic binding in these cute little booklet journals. I just love the way they turned out. 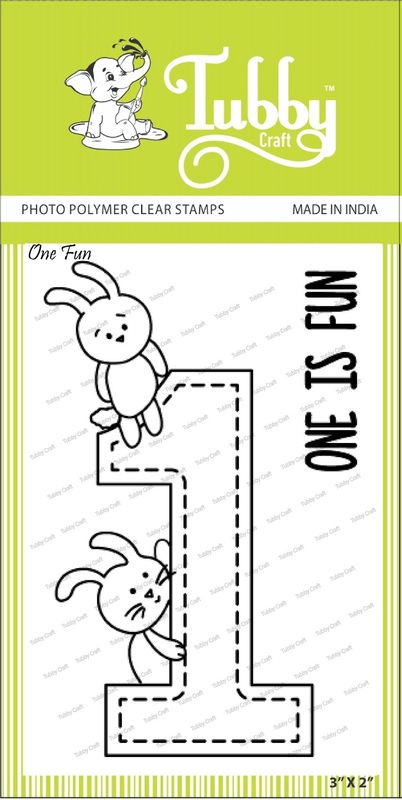 I have colored these number stamps using the Tubby Craft dye ink pads (Lavender Violet, Chocolate Brown, Tangy Orange & Aqua Blue colors) itself (with a very little use of my markers to add the depth to the images). But as you can see in the picture below, all I had to do is, add layers of ink from the ink pads to have the shading effect in image. I dabbed some ink on an acetate sheet, and with a wet brush, I kept adding layers of color till I had the desired effect. 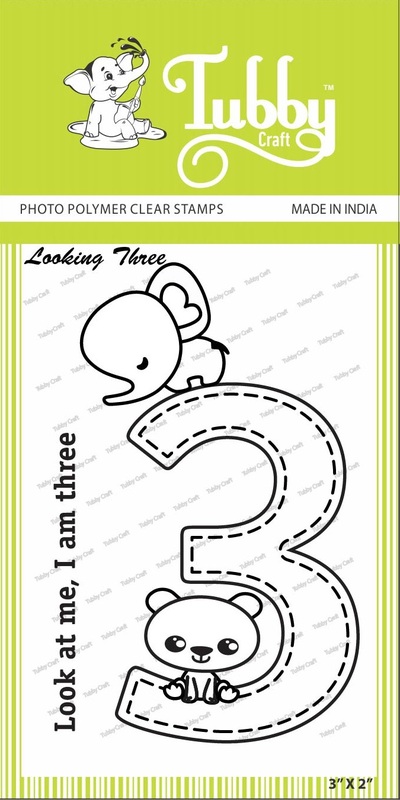 Also, If you see the number stamps closely, you will be able to see three layers. 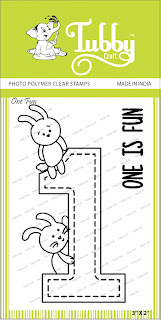 Bottom two layers include the full stamp image, and the top-most third layer only has the cute critters, embossed with ball tool to add a little dimension to them. That’s all about my projects guys. Once again, I would like to thank Tubby Craft for having me here. I hope you enjoyed and feel inspired to try some ideas from my post. If you do so, do let me know in the comments below, I will be so thrilled to hear from you. Much thanks for stopping by. Have a great day.